Our July weekend and a bunch of joyful students, saying our goodbyes until October 20th. Here are 2 short video clips our song of gratitude and our dance of gratitude. Thanks to John for recording this memory. October 14th and 15th The first weekend of our new cycle. Our new family of fabulously beautiful amazing souls dived in deeply together... what a start! The discovery and acceptance of our identity is a cornerstone of Biodanza. Unsurprisingly, then, birthdays are celebrated in style! They're a lovely way to honour a student (or a Director!) having their 'special day'... How do we do that? 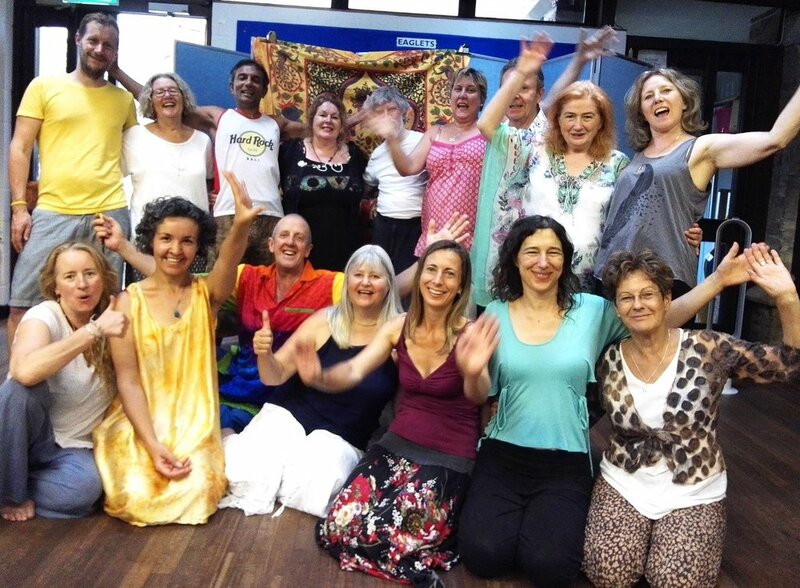 The London Biodanza recognises the huge value of collaborating with and drawing on, the experience of some of the world's most experienced Biodanza teachers. Fitting in with our final year training, we invited two teachers from Portugal - where three flourishing Biodanza schools share their learning and promotions - to teach one of our Methodology Weekends. What a fabulous weekend we enjoyed! we are the doorway not the door.